Tuesday 09/12/2014 –Day 0 + 61 days or 2 months post-transplant. Today marks 2 months to the day from Aaron’s HSCT Birthday and tomorrow is his actual ‘Birthday’. A milestone week for dates but other than that not a lot to report! Yep, it’s been over 2 weeks since our last update however not a lot has changed in that time. Aaron continues to do his best to stay as mobile as possible and is getting through his inside exercises daily (with only a little persuasion required). He is still very uneasy on his feet, his left leg is just not cooperating and he tires quickly and easily. His fatigue can be unpredictable and his sleep is still disturbed. His hands are still warm, a small thing to be happy about but we will be happy with any slight improvements – they are the icing on the HSCT cake. We can only hope more symptoms disappear along his recovery. As far as Aaron’s roller coaster road to recovery goes it is still early days but we are happy with his progress so far. We are staying positive for an impressive outcome but are also very realistic that our main aim was to HALT the progression of this insidious disease! There will be many highs, many lows and many unknowns ahead…. it will be hard work and we will need to dig deep to find the determination and mental strength required to make it through the next 18mths-2yrs. Your support and encouragement will help us make it through! Monday 22/12/2014 – Day 0 + 74days! Yes it’s really been 10 weeks since Aaron’s Stem Cell Transplant in Moscow! The days seem to blur into one with our daily routine including medications and exercises and finding ways to pass the time on the HSCT recovery roller coaster. Aaron celebrated his Birthday 2 weeks ago at home with Jake and I. We had presents, games and fruit salad to celebrate, he got a few Birthday calls and texts and heaps of wall posts, he appreciated those that were thinking of him on the day. It can get boring recovering from HSCT but Aaron is starting to get more involved in little things around the house. He helped me hang some washing the other day and we got out into the shed to fiddle. We also fixed the wiring that Shelby so kindly chewed on our 12volt deck lights out the back. Aaron’s days are still up and down, he has a lot of pre-exisiting MS damage to his brain and spine that is still causing him grief (nothing to do with hsct or recovery) – it has involved Dr’s visits and x-rays over the past few weeks and we are hoping after more tests tomorrow that we might get some answers. I spent my first day full away from the house since we got back from Moscow this Sunday. The Motorcycling community and in particular Kings Cross Bikers Social and Welfare Group went above and beyond to support us and were instrumental in raising funds we needed to reach our goal and get Aaron to Russia. For that as well as their friendship we will be eternally grateful. It was both humbling and an honor to spend Sunday with the Club for their Annual Toy Run. This year was the 24th year (my 14th year attending) and the ride was the largest to date with many joining in to show their respects after the sad passing of co-founder Randall Nelson OAM aka Animal in September (the same week we departed for Russia). RIP Animal x I hope we made you proud yesterday. Some of us also made our way into Martin Place after the event to pay our respect to the lives lost last week. Things are moving along slow and steady in camp AAMS and we are happy to be Germaphobe’s with OCD (thanks to fellow HSCT’er FSJ for this description). Aaron’s bloods were all looking good at the last check however he is still immunocompromised so we feel it’s better to be safe than sorry at this early stage of recovery! Aaron has had small improvements (the warmth in his hands and left leg) and is getting around the house without the wheelchair at times he feels strong enough! 31st December 2014 – Happy New Year!! What a year it has been for Family O’Halloran. We began the year daunted by MS and the detrimental effects it was having on our lives. We had serious doubts about the future and how Aaron’s MS would progress, it was like a freight train going down a hill with no brakes and things weren’t looking like getting better. During 2013 I had researched and investigated all types of “cures” and remedies and possible treatments for MS and as far as I could see 2014 would be no different. After in-depth research and over 12 months in a dedicated HSCT group chatter heightened in Feb. Previews and discussions were constant about an upcoming story on 60 Minutes. It was about a lady from QLD that had been to Russia in 2013 for HSCT to HALT her MS! The hairs on the back of my neck stood on end and I had chills. I knew that this was the start of something HUGE for our family and that Kristy’s story would change the course of 2014 & our lives! In early March, the week the story aired on Australian TV Aaron was accepted by Dr Fedorenko to The A.A. Maximov Hematology and Cell Therapy Department of the National Pirogov Medical Surgical Centre in Moscow Russia for HSCT to HALT his MS! Aaron Attacks MS was born and took on a life of its own. With support from so many truly amazing people we reached our goal and raised $70,000 (and it ended up costing even more) to allow us to travel to Russia in September for Aaron to receive HSCT! In 6 short months we collected donations, sold T-shirts, mugs, chocolates & raffle tickets, organised and conducted 5 big events and one major event and appeared on TV twice to raise awareness about HSCT & MS. It was an amazingly HUGE year that we could not have made it through alone! The journey started in 2014 and it isn’t over yet. We have achieved more than I ever dreamed was possible! We rose $70k & we went to Moscow Russia!!! AND We HALTED MS with HSCT! For the start of 2015 Aaron will need to recover and recuperate and our family can start to re-assess what now looks like a MUCH BRIGHTER FUTURE FULL OF HOPE! Thank you ALL for being part of our journey, for inspiring us, encouraging us, sympathising with us, sharing and liking our status updates and making 2014 a year of amazing achievements. We look forward to sharing 2015 and the rest of our journey with you! & OUR BEST WISHES for A Healthy and Happy 2015! Wens 7th Jan 2015 – 90 days post transplant!! Things are progressing along in camp AAMS. We are now almost 3 months since Aaron was given his ‘New Life’ opportunity through HSCT in Russia and he has no regrets! Aaron is still having a mixture of good and bad days, we are after all still on the roller coaster of recovery. He isn’t sleeping too well which never helps and also has a few ongoing MS related issues that are causing him a few set backs. 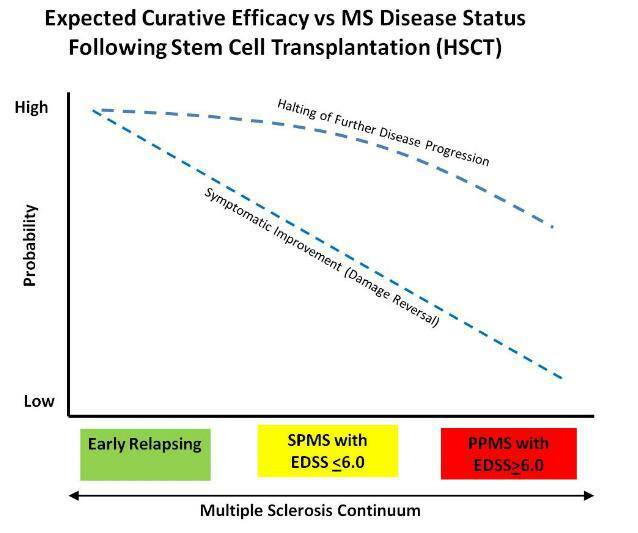 We believe this health issue is from MS damage prior to HSCT and are mindful that HSCT was not a cure, it was to HALT the progression of the disease. Aside from the setbacks Aaron has seen some improvements, his hands remain warm to touch but are still tingling, the headaches he was experiencing pre-hsct have decreased. He is managing to increase his daily physical exercise and is spending less time in the wheel chair around the house. I got this short video just in time for the last 2 of his 20 squats the other day! His left leg is still very lazy but the foot drop has eased if only a little. He is also doing time on the recumbent exercise bike twice a day – this morning he reached 4.1km’s in 15mins 30sec. I can hardly believe it’s been 3 months to the day from when we arrived home from Russia and 4 months since Aaron started treatment at Pirogov! I am often asked how Aaron is going, if he has noticeable improvements or at worst if he is ‘better yet’? Has he had noticeable improvements? He has had a slight improvement in the warmth in his hands and legs although they are still tingling and the pins and needle feeling is still VERY prominent. In general he has had a worsening of symptoms that were already apparent prior to HSCT but no new symptoms – again all to be expected! He is trying hard to stick to his rehab exercises and to increase his physical activity where possible. Is he better??? Possibly the most frustrating question we get asked ….. we can only wish for Aaron to be completely “better” but unfortunately there is no cure for MS and we never believed or proclaimed that HSCT would be a cure for Aaron’s MS. The word ‘cure’ means different things to different people. We believe from all our research that when HSCT works it stops the progression of the disease. It may but will not necessarily reverse old symptoms and cannot work miracles and repair years of demyelination or axonal damage. It has however been proven in medical publications that 80% of patients have a progression free survival (ie: absence of relapses, further disability & new MRI lesions). And that is what we hope for! So for now we remain in the Marathon and we appreciate the cheers from the side lines and the words of encouragement. We are hanging on tight on this bumpy roller coaster ride to recovery! 📌 We highly recommend watching the video in this link – http://www.sciencealert.com/stem-cell-treatment-improves-di… it is emotional for us to watch as so many of Roxane’s symptoms were similar to how Aaron was prior to HSCT. Conventional medications were doing nothing to help him and the medications they were trying may have already damaged his liver with the added bonus of not even stopping or slowing down the progression or the increase in new symptoms. Like Roxane Aaron was heading down the road to major disability if not premature death. For us Dr F is our hero – he gave us hope and he gave Aaron a second chance at life! It is still very early days for Aaron at 109 days post transplant, making it past 100 days was a big milestone! And yes he is having an increase in some symptoms (predicted and expected side effect from HSCT) but he is also showing noted improvements! Some of them I don’t seem to notice as much being with him all the time but after having a few friends visit over the past few days they are more apparent. ☑ He has warmth in his hands 95% of the time and his legs 60% of the time. ☑ His speech is a lot clearer and he is not slurring his words! ☑ His mind is a lot clearer and cognitively he is improving weekly. He has a great deal more patience and his short term memory is also improving. ☑ His headaches have substantially diminished and the type of headache he does get are different – they seem to be side effects from the HSCT not MS related. ☑ He is walking around the house every other day (or maybe stumbling and only on the days he feels good) but he is TRYING and he is exercising and slowly building back strength and fine motor skills. 🌌 HSCT has given Aaron and our whole family HOPE for a brighter future as well as improving Aaron’s quality of life – definite positives right there! 2. His hair is really growing back now, almost needs a cut! 3. Gloved up patting Shelby dog – she sits and patiently knows he will put on the gloves and get down for a pat every few days – unconditional love a dog is heartwarming and the smiles are joy to my heart! I have been meaning to do an update for a few weeks now, I sit down to write about how Aaron is doing and then something stops me. Maybe it’s the fear of putting reality into words or maybe it’s the realisation that this is Aaron’s journey and I am only a spectator when it comes to how he is really doing. Be it physically, emotionally or mentally this is his roller coaster recovery ride, I can only tell you how it appears from my point of view and that may not be how Aaron might tell it. Unfortunately he isn’t a writer or blogger and I can’t see him posting so I will do my best to let you know how the journey has progressed over the past month or so……. Aaron has spent most of this month unwell – nothing to do with HSCT but from damage his aggressive MS had already caused. This has meant more Doctors and scans and specialists – all while still being aware of his lowered immunity. • He doesn’t sleep well which even in a healthy body makes functioning on a daily basis difficult, when you have MS and are recovering from Chemo and a Stem Cell Transplant it makes things even harder – I guess it is a small comfort knowing that this is a common complaint from many post HSCT’ers. • His mobility has diminished and he is finding it more difficult to walk with his left leg not cooperating at all, he is using his wheelchair most days around the house. • He has had one in-home Physio session and is enrolling in a day rehabilitation program next week (stay tuned for update on this – I believe the professional guidance & routine will help him see improvements). • He is all in all pretty bored and misses tinkering and getting dirty in his shed, he misses dirt bike riding and hanging out with mates and most of all he misses just walking outside in the fresh air – walking ……..but he also knows that this journey is far from over and he still needs to recover, repair and rebuild his immunity to be stronger in the future. He still has goals and from the comments he makes he is refusing to give up but I am also sure that on many if not most days he just wishes that MS and its symptoms would F right off. We know it is common to experience an increase in symptoms after treatment and we also realised that this journey would be a little harder for Aaron being on the higher end of the EDSS (disability scale). • Aaron got delivery of his 1st very own wheelchair from Enable. Huge thanks to our friend Jerome for the loaner while we were waiting all this time!! • Our wonderful friend Lisa from The Bikers Baker https://www.facebook.com/TheBikersBaker?fref=ts dropped in with not only her parents but an amazingly massive over sized Ferrero Rocher!! • We had an amazing group of friends over for a BBQ and to help me in our yard, Aaron was able to oversee from the safety of the deck and joined us for the BBQ. • Aaron’s hair is really growing now and it was kinda curly, before he was brave and let me cut it. We still have strong hopes and strongly believe that HSCT will halt or at least slow the hell out of Aaron’s MS progression and that the recent influx of symptoms he is experiencing will diminish over time – it is after all still early days!! Are you signing along with us yet!? Clap along and dance ‘cause I certainly am!! We really hope you are at the least smiling or will be after we share the most amazing news with you all. ”….. white matter is improved” !!!!!!!!!!!!!!! “No new brain lesion identified” !!!!!!!!!!!!!! We went into this journey hoping to HALT Aaron’s MS & realistically expecting that any symptomatic improvement was an added bonus (it’s still early days!!). Our hopes have now been realised with NO NEW LESIONS and noted improvements – say it with me WOOHOO!!!! It is with such joy and a some very happy tears that we would like to thank Dr Fedorenko, Anastasia, all the Staff at Pirogov, Kristy Cruise and of course ALL our wonderful supporters & donors – without all of you this would not have been possible! It has been a tough 6 months and Aaron’s roller coaster to recovery is far from over. He is rebuilding his immunity, his muscle strength needs work and his mobility is limited but with a lot of hard work, determination and support who knows what he can achieve!! Shout it from the rooftops – HSCT WORKS!!!! Photo’s can be found on AaronAttacksMS Facebook Community page.